year so,mark your calendar for Saturday,October 20, 2018. 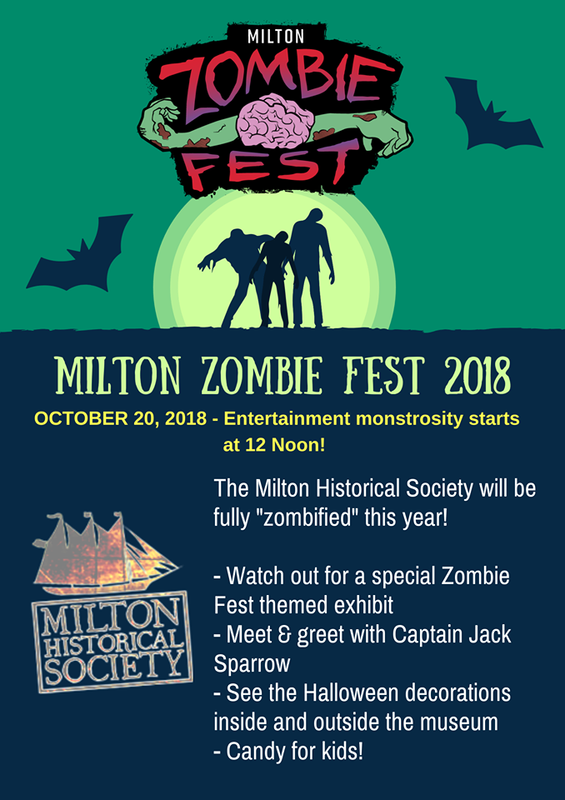 Triple Threat, Musical Theatre Ensemble, Dirk Quinn Band, Universal Funk Order, Wall of Cain, Lower Case Blues, Flatland Drive, Mama’s Black Sheep, Christine Havrilla and Gypsy Fuzz, Hot Breakfast, Scrapple, PIRATES PLUNDER Entertainment INCMilton Zombie Fest 2018 at Calliope. 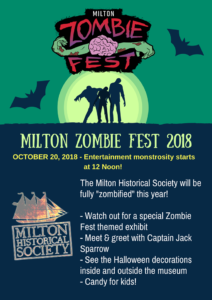 But,to start the ZombieFest off right, pop into the Milton Public Library on Friday evening , October 19th at 5:30 pm where you will meet Dr. Carol A. Pollio, a paranormal investigator and psychic medium. Go on a virtual tour of historic sites of Delaware. 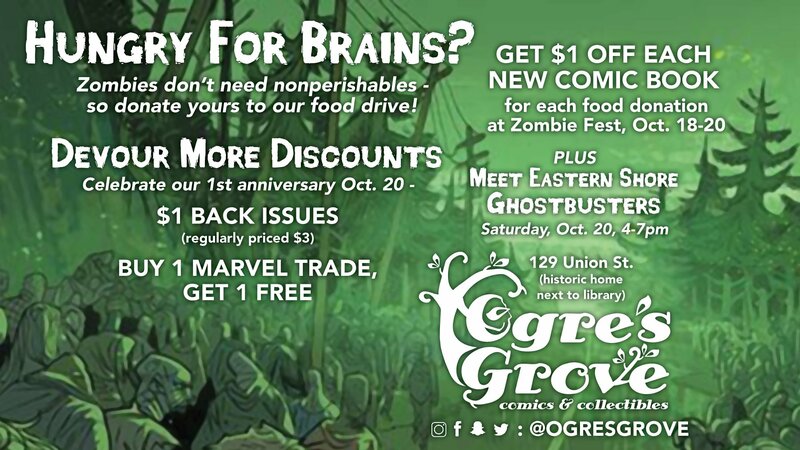 their doors open is Ogre’s Grove http://www.ogresgrove.com comics and collectibles.Ogre’s Grove opened their doors at last years ZombieFest (Happy First Anniversary Ogre’s Grove ) how cool is that and they are right across the street from the festival grounds right downtown Get discounts and meet the Eastern Shore Ghostbusters Of Maryland! Mention this blog and receive 10% off your stay. 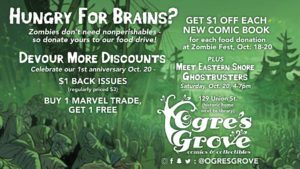 This entry was posted in Events and tagged bed and breakfast, comic, delaware, ghosts, library, mansion farm inn, Milton Delaware, milton historical society, Milton theatre, Ogres grove, paranormal, ZombieFest by admin. Bookmark the permalink.